Coffee table by Maison Bagues, Paris c. 1950. 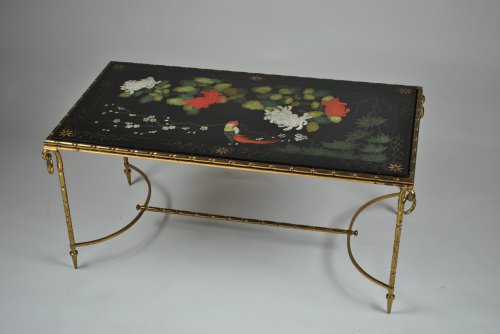 Black lacquered top with chinoiserie hand painted scene. Gilt brass legs and frame and decoration.